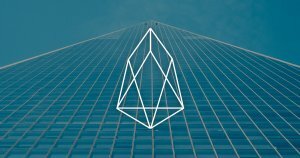 There is evidence that a small group of block producers (miners) control the entire EOS network. These block producers have the power to censor transactions and blacklist individuals, ensuring they remain in power. If these block producers are colluding, then that group can control the EOS protocol to their whim. At the moment, the threshold to become a block producer is 92 million tokens. Because of the concentration of tokens, some accounts could secure their position as a block producer without garnering much support, or buying just one or two accounts’ votes. Such behavior would negate the platform’s ability to hold them accountable should they act maliciously towards the network. One of the powers block producers have is to blacklist and freeze accounts, thus giving the BPs the ability to delay access to the network to opponents. If all 21 block producers collude this would effectively freeze an account, censoring them from participation in the network. What’s worse is that these same block producers could file arbitration claims against opponents. All a block producer would need is to produce an anonymous account and file an arbitration claim against an opponent. Then, as the case is getting adjudicated upon the funds are typically frozen by the arbitrator; effectively silencing an opponent. EOS is a profound innovation in decentralized governance and computing. The platform offers a unique solution to the scalability and consensus issues faced by other blockchains. Delegated proof-of-stake was hailed as the cure to the bottlenecks faced by traditional blockchains. In such a system, voting determines which group of people control the EOS network. Update November 16th, 21:30 UTC: Block producers are unable to censor an account with a 15/21 vote, this requires a consensus of all 21 block producers. The post How Cartels May Control EOS and Fundamentally Threaten its Survival appeared first on CryptoSlate.